To celebrate the birth of Nelson Mandela, promote equality and encourage us to create a better world for all. You will need five fresh lemons or apples and a basket. Have available the song ‘Gimme hope, Jo’anna’ by Eddy Grant or ‘House of exile’ by Lucky Dube and the means to play it at the end of the assembly. Undertake the following activity, which will take about five minutes. Select five children and give one lemon or apple to each of them. Then ask the children to ‘get to know’ their lemon or apple. The children will examine their lemons or apples – smell them, touch them, throw them in the air and roll them around. After a few minutes, collect the lemons or apples in the basket, then ask the children to find their lemons or apples. Most of the children will recognize their lemons or apples. Next, ask the children to describe how they recognized their lemons or apples. Maybe theirs was big, marked on one side or had some dents or bruises. Now talk about how people, too, come in different sizes, different shapes, different shades of colour and have different ‘dents and bruises’. What happened with the lemons or apples happens with people, too, and shows that we are all different. What a boring world it would be if we all looked the same. Think of your classmates. Everyone in your class will look different from everyone else. Some may be tall, some may be short, some may have brown hair and some may have blonde hair. Unfortunately, people can be judged for being different, but it is our job to look after each other and appreciate each other for who we are on the inside. Tell the children that on a certain day, a hero was born. 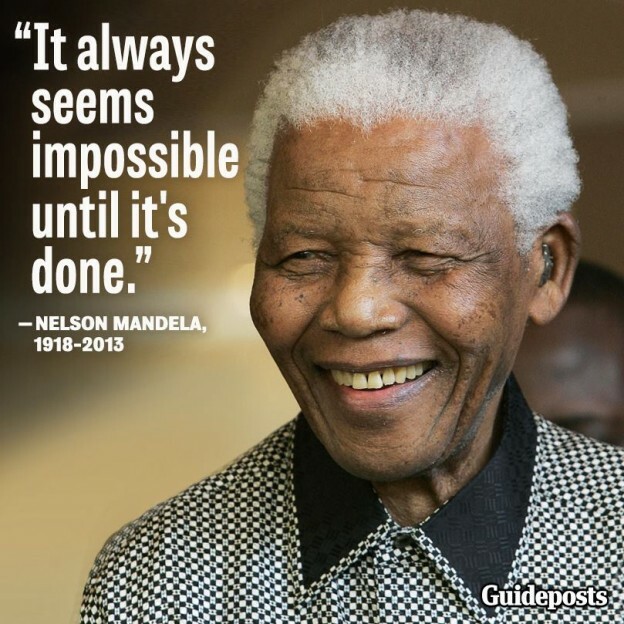 The 18 July is celebrated in many countries as a reminder of Nelson Mandela’s achievements. Nelson Mandela was a black man living in South Africa who believed that the colour of people’s skin should not cause them to be treated differently. When Mandela was a young boy, most black people in South Africa were poor. They worked as servants on farms, factories and in gold mines. In those days, black people and white people could not marry, share a table in a restaurant or even sit together on a bus. Imagine if you could not play with some of your friends in the playground just because they looked a little different from you. That would be very unfair. Mandela wanted to change this. He believed that we should all be offered the same opportunities in life regardless of the colour of our skin and so he fought for 27 years until his dream of ‘equality’ came true. Mandela was someone who stood up for what he believed in. He was sent to prison for his beliefs – for a long 27 years. He quickly became the most famous prisoner in the world. Nelson Mandela’s courage and compassion made people realize that he was not a criminal, but someone who wanted to help his fellow people. 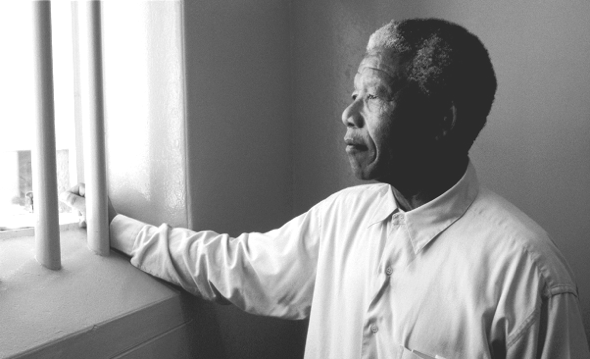 As the years went by, more and more people cried in the streets, ‘Free Nelson Mandela’. At last, in 1988, South Africa began to listen and made some big changes. One change was to let black pupils into white schools so that all children could have a fair and happy education. Nelson Mandela was someone who believed that dreams do come true. Who can tell me what a ‘president’ is? In 1994, black people were finally allowed to vote for their chosen president, which means they were allowed to make decisions for their country. Can you guess who became the first ever black president of South Africa? Yes, that’s right – Nelson Mandela. So, this summer, try to make every day a Mandela Day. Close your eyes and think of all the things you have to be thankful for this summer. For being safe, for never going hungry, your friends and family who love you and for being lucky enough to be different from everyone else.